Last updated 19 September 2014 . By Kiran Khattra. 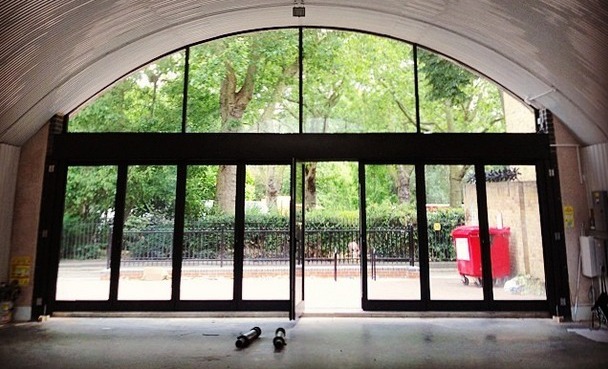 Sager & Wilde are back with their second venue Mission, located in the railway arches of Bethnal Green. You can expect an extensive selection of wines with a main focus on New Californian vino, accompanied with a variety of classic American cocktails and a fusion of Californian and Italian meals dished up by Chef James De Jong. Equipped with a private dining room and an outside terrace space, Mission is the ideal place to catch up with friends over a bottle or two! With Bethnal Green fast becoming one of the more lively and exciting new food and drink areas of London, Sager & Wilde have found a prime location to set up their second venue in their favourite neighbourhood. With something for everyone to enjoy we are sure wine lovers will be flocking here over the summer as well as American foodies. James De Jong hopes to 'marry Californian-style cooking with Italian influences' which can be perfectly accompanied by the exclusive new California wines that will be on offer. With an outside terrace to enjoy summer alfresco drinking, we say 'Mission accomplished'!